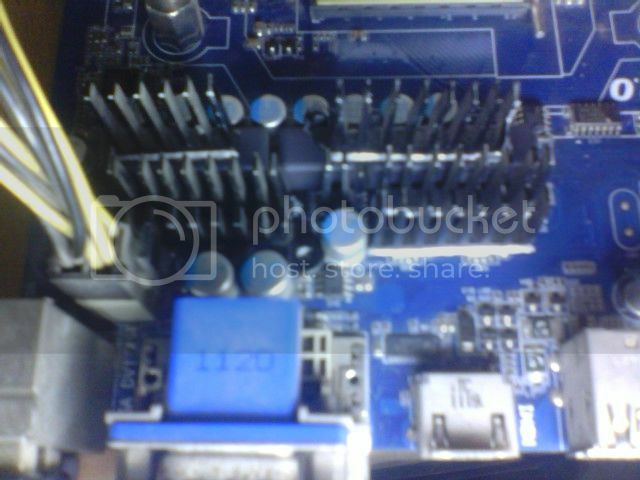 have any one tried thermoelectric cooler to speedup the process of heat transfer from cpu to heatsink ( we do spend on good thermal paste so this thermo cooling may bot be that bad ) ? 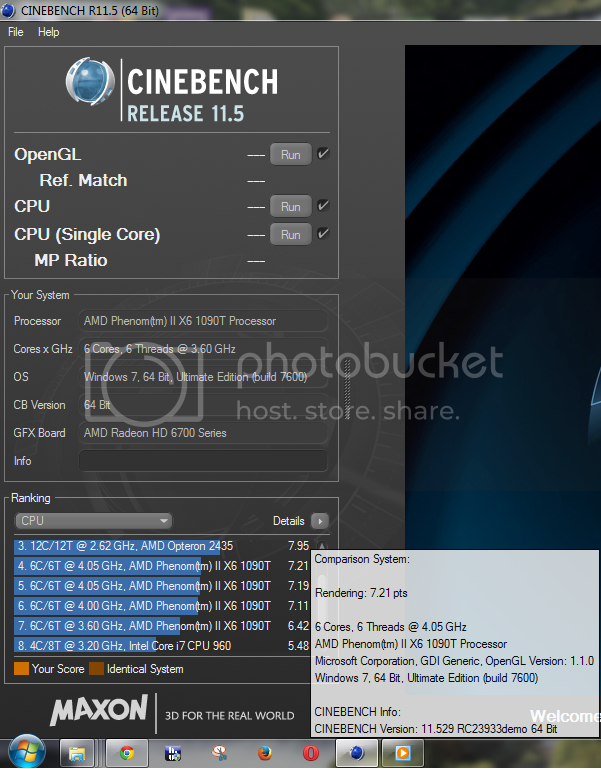 Anyone want to do an Insane OC Cinebench run against my Phenom II x 6 1100T Black Edition? I want to see how the old girl does in mortal kombat? Agreed, if i had one of these 6 core thubans instead of athlon x4, probably would not have gotten my self a fx 8120 when it came out, the single threaded performance was better on thubans, but then again i went for fx 8350 just for the overclock, by the way out of curiosity why didn't you want to use cinebench r15? Didn't see a club yet, so here we go.So, those who love AMD like me will stick with them through anything here it is.Let's get a roll call going. hi guys can you help me? 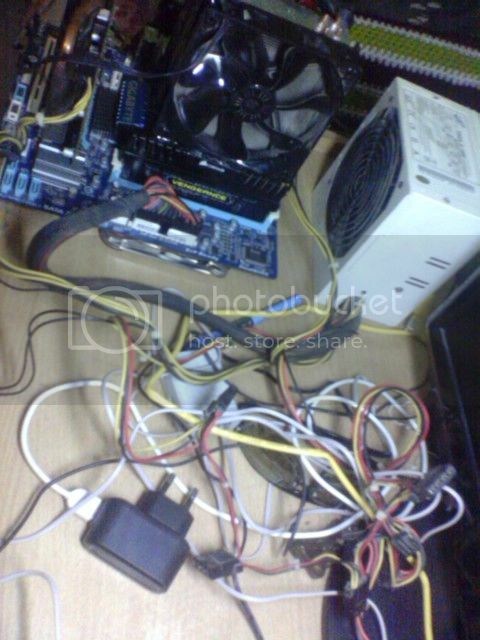 i have an fx 6300 and msi 880gms e41fx mobo with gammax s40 cooler. and im having high temps. i clocked it at 4.1ghz without messing up the voltage. just the multiplier. and im wondering cause if i hit that 200C+ shouldnt my mobo melted already? For starters, uninstall AMD OverDrive. The program is very buggy, and causes issues and can probably cause hardware failure. (And it doesn't cover damage anyways, even though it is provided by AMD) But I hope you are using the BIOS while overclocking. Second, I feel as the probes/sensors are bad or your programs are conflicting with each other causing bad reading. If your CPU reached 90*C it would have died instantly-and AMD has a safety feature inside which throttles the CPU when it over heats if it is not turned off. I forgot the name. And your computer would of turned off as well if it really got too hot for your hardware's protection. But 53*C is really hot for idle, and without voltage changes. I'm guessing you have faster RAM causing higher memory bus usage (which is in the CPU now). But regardless, that is very hot. If you have a stock cooler, don't overclock. 62*C for FX series s the safe temperature but people go to 70*C.
And your pictures don't load. ■ Memory, as much as you have available. This will use all your RAM and use the memory bus more which creates more heat on top of your CPU being used 100%. can you please help me choose? seidon maybe better cause it is liquid cooling and more expensive, but i dont mind going for the x6 if it can still get the job done with decent temps thanks!! Guys, please sotp posting in here-and make your own thread regarding these issues. People will help you faster for one, second this is considered hijacking a thread. And you can credit people for helping you. This is an AMD overclcok Club not AMD help thread. Nice overclock & nice temps. Motherboard & cooler same as your sig?